​Wearables vs killer diseases: Is technology winning the fight? There are no vaccines, no population immunity and no rapid or reliable diagnostic tests for the Zika virus. The World Health Organisation (WHO) has declared Zika a public health emergency and, alongside short-term coping measures, has called for the global community to intensify its efforts to fill in the gaps. Wearable technology would be an ideal weapon in such a fight. So, after years of being on the cusp of greatness is it finally ready to join the fight against this virus, and other killer diseases like it? The short answer is that there are already wearable mosquito repellent devices in development. These have largely focused, until now, largely at the age old fight of the developing world vs malaria. It's an obvious place to break the chain; stop those insects biting and they'll stop passing on the problem. Indeed, in the case of the Zika, if you can control the Aedes aegypti mosquito host, then you'll also do wonders to minimise the impacts of yellow fever, dengue fever and the chikungunya virus which it also has the misfortune to carry. The Off! Clip-On might be of use. It's a cartridge-based repellent that attaches to your waist and fans out a chemical which is shown in tests to cause high Aedes mortality rates and a significant knock-down effect at distances up to 0.3m. That might not sound far enough to reach the top of your head or the tips of your nose but the researchers concluded that a single Clip-On was enough to protect one person. Is the answer to our prayers? No, but it's a decent start and it's available to buy now even if £10 per unit is financially prohibitive on a large scale. DEET is the active ingredient in Clip-On, and most mosquito repellents, but there's a recent breakthrough group of super chemicals which could make anti-malarial wearables thousands of times more effective. DEET works by blocking the mosquito's smell receptors meaning that it simply never recognises the nearby human as a tasty treat. In other words, no more sophisticated than Arnie daubing himself in mud to become invisible to the Predator. Researchers at Vanderbilt University, Tennessee, are working on something altogether more devious. Their plan is to switch from camouflage to a full frontal assault by over-stimulating olfactory senses of the little critters to the point where it's effectively painful for them. Rather like needing to distance yourself from someone who has doused themselves in Old Spice. These so-called excito-repellents should, in theory, be equally effective against all kinds of other insect vectors. One of the trickiest parts, so far, has been trying to atomise these compounds and engineer a system which could keep this perfume barrier up steadily throughout the day wherever the wearer goes. If wearables can't stop the mosquito in the short term, or the Plasmodium parasite itself, then there are, at least, people working to keep closer tabs on malaria's victims to minimise the fatalities where medical treatment is not available. San Francisco's Fuseproject studio, led by the ubiquitous Yves Behar, has an idea in the pipeline - albeit rather far fetched at present. Called the Kernel of Life, it's a necklace which its wearers can use to test their own blood, urine, saliva and breath to see if they've got anything they should be running to the hospital to sort out. Getting everyone to keep something they've peed on around their necks might be a bit of a tough sell. More grounded in a current tech reality is TermoTell - one of the finalists of Unicef's 2015 Wearables For Good challenge. It's a more focused approach on malaria management and its aim is to reduce childhood mortality rates. It is simply a bracelet that monitors sweat patterns and temperature and will glow or send a notification to a parent's mobile phone if the symptoms match up with those of the disease. Perhaps most importantly of all, though, it's hard-wearing, chewable and bright and colourful enough for five-year-olds to actually want to wear. It might not stop the spread of malaria but it could at least lessen the grief - which is ultimately what it's all about. It's also the best approach there is for another of Africa's killer diseases, Ebola. There's no wearable that can stop it spreading but the Scripps Institute has received funding to make its idea of a Bluetooth-enabled wearable sticker that can monitor symptoms a reality. Worn by charity workers assisting in areas of Ebola outbreak, it can be a signal to get them whisked off and into isolation themselves should the need arise, and the kind of safety net that could reassure wouldbe volunteers. Of course, malaria and Ebola are not the only killers in the developing world and the sad truth is that there are over 1.5 million children who die each year to diseases which are entirely preventable by vaccination. Up until now, the difficulty has been trying to keep a track of who's been immunised and who hasn't and for the medical teams to make sure they have the right vaccines with them for each of the locations they visit. Khushi Baby, the joint winner of Unicef's Wearables for Good challenge, has addressed this problem with an item of cheap but authentic-looking jewellery that houses the entire immunisation record of the child wearing it. It's NFC-active and one simple scan from a medic will bring up everything they need to know to make sure that nobody slips through the net. Khushi Baby is taking donations to get these things out into the population right now, so go and do something good and pledge a little change. The other joint winner of Unicef's award is another wearable that's ready to make a difference right now. Hygiene is something incredibly simple to combat if you can get the design just right, so the fun, wearable detergent-come-crayon Soapen is sure to start taking chunks out of problems like cholera as soon as it's good to go. In terms of creating sensors and tools that are cheap, effective and useful, wearable technology is right on the cusp of making it happen. In more developed countries, though, because the killer diseases are more complicated, the fight has a lot further to go. The two biggest killers in developed countries, which the tech world is attempting to combat, are cancer and heart disease. There are, of course, a million and one health and fitness wearables designed to help people lead healthier lives than ever. What we're talking about here is getting these wearables used within medical scenarios which, as we've seen before, has its own regulatory barriers. Implantables are the most obvious, if fairly dramatic, port of call. If we could get sensors safely and sensibly right up inside our bodies and face to face with what they need to measure, then there's going to be a treasure trove of first hand data of which each device can take its own relevant slice. Chronicle - an implantable in development at Ohio State University - is one such device showing plenty of promise. 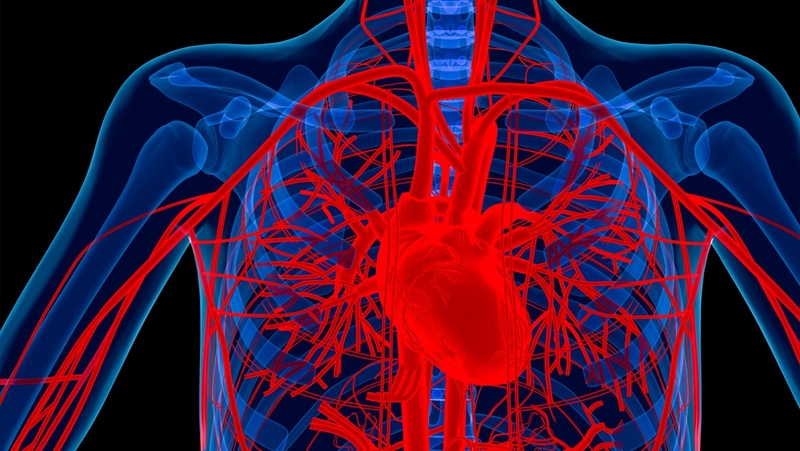 Inserted under the skin, it trails a lead all the way through a vein and into the heart where it can pick up direct measures of pressure, rate and function which are sent, straight from your home each day, to your physician who can monitor vital signs before people end up in hospital. There are markers of heart attacks that can be spotted up to two weeks before the actual trauma. So, devices like Chronicle could save lives and plenty of money too. The hope, though, is that, soon, such technology wouldn't even need to be implanted but simply worn. This would mean a lower risk to the patient and make the tech easier to roll out. It's the idea of a heart attack alarm system like this that the Intermountain Medical Centre Heart Institute in Salt Lake City is working on. It will warn the user to get down to the hospital way, way ahead of time at which point medics can hopefully offer more than a nice cup of tea while they wait for the arrest to happen. For the various cancers, things are a little further behind at present. There are one or two wrist-worn aids to help with chemotherapy drug compliance and some more dubious equipment which make alerts when the user has had possibly too much time in the sun but otherwise, unfortunately, it's all at the blueprint stage. Google filed two significant patents in 2015 for something better; the first for detecting cancers and the second to actively seek out and modify or destroy cancer cells with targeted bursts of ultrasound, even if that does sound rather futuristic for the time being. The detection side of the equation stands on firmer grounds. Should the wearable in question be fitted with accurate enough sensors, there are plenty of enzymes, hormones, proteins, cells and particles in the blood which, if monitored properly, would give very useful indicators of the onset of cancers and, indeed, of other diseases, such as Parkinson's, where common precursor chemistry is known and can be acted upon to offer a leap in quality of life. Google's spin off Life Sciences lab is aiming to make a detection solution available in a matter of years rather than decades. The goal is to test for cancers by taking a pill to release manufactured nanoparticles into the bloodstream which would seek out and bind to certain target cells. These nanos are then magnetically attracted to a wristband to which they'll be able to transmit what they found in the body. That info can then be analysed either on the device or a computer. It might not be as profound as zapping the cancer right then and there but early detection is so key in these cases - and often very difficult with the more deep lying variants such as pancreatic cancer – that technology like this could make a huge impact on the statistics. And it's not the only way to skin this trickiest of cats either. It's not strictly a wearable but researchers at Georgia Tech have found 75 unique breath volatile compound differences between patients with lung cancer and healthy individuals, and think that there's similar differences to be noted in breast cancer too. Why waste time and money on nanoparticles when you can go down to your GP and take a breathalyzer test instead? On the treatment side, it's worth noting that there is one technology out there that's working and has managed to slow tumour growth. Novocure, the Israeli company, which has developed this technology, calls it the Tumor Treating Fields (TTFields), and is hopeful that it can at least extend the life expectancy of patients diagnosed with glioblastoma - the most common kind of primary brain cancer in adults. Sure, it looks a little silly but these electric field pulses are doing the job. After successful trials which began in 2009, it's currently seeking FDA approval for this groundbreaking, non-invasive treatment. So far, the result seems to be that it is as efficient as chemotherapy but without the terrible toxicity. Of course, if you're affected by these diseases, then all of the wearable promises and hopes simply cannot and will not come soon enough, but neither are we looking at the kind pie in the sky which has dressed the front pages of newspapers in recent years. For every killer, there are effective short and medium term solutions well and truly underway. Even if malaria and cancer aren't going to be eradicated any time soon, it's only a matter of months before wearable technology starts to tip the balance further in our favour. The tech fight back is already on.